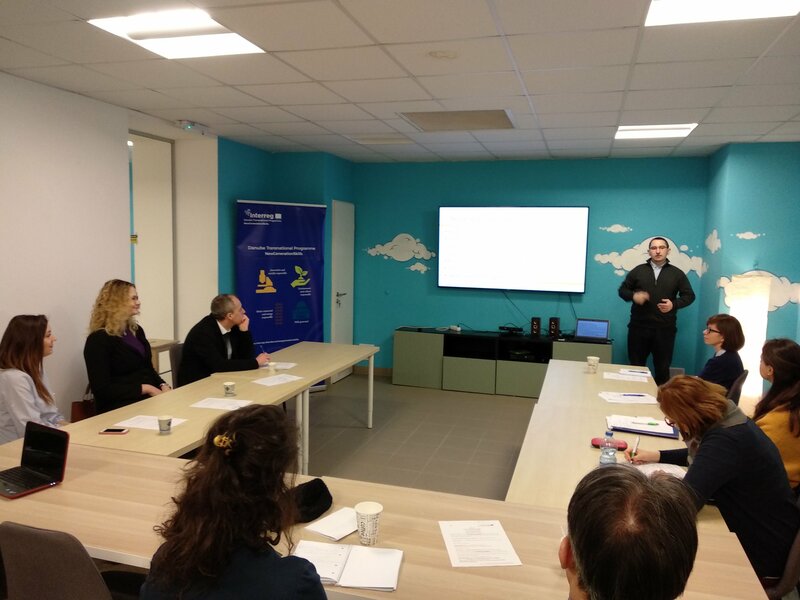 DEX Innovation Centre together with project partners from Hungary and Romania took part in the peer review visit in Budapest - Újbuda district, on February 26th - 27th 2018. Purpose of the study visit was not only cross-fertilization on the example of good practice but also an introduction of the Local Action Plan introduced by the Lead Partner from Hungary, in order to support and develop the entrepreneurship culture within youth. DEX IC has also visited the physical premises of the future Innovation Laboratory - UP Center!, Spin-Off Club as well as we have personally met with local stakeholders. Hungarian Lead Partner has introduced us their planned and ongoing activities focused on the entrepreneurship support for starting youth generation for Újbuda district, Budapest such as for example START-up tender for University students. START-up tender is two rounds competition which involves students individuals or teams (2-5 people). Winning prize, for the first 4 teams, is a financial reward worth 3 250 euros and one year free mentoring sessions in order to further develop already created business and implementation plan. Lead partner from Hungary has presented also their detailed pilot actions for the implementation of Innovation Laboratory and the integration and role of the young generation. Innovation Laboratory will be supported with complementary activities such as business EXPO, parents programme, dynamic activities for self-realization and self-reflection, as well as "shadow programme" and street art events. During peer review exchange visit DEX IC has gained valuable experience and inspiration for the project implementation activities to be hold in Liberec region, Czech Republic. The project is co-funded by the European Union funds (ERDF, IPA).